A troubleshooting camera with an infrared heat map. The new VT02 Visual IR Thermometer bridges the gap between low cost IR thermometers and higher priced thermal imagers and allows you to see beyond temperature at a price that’s equally groundbreaking. Now, instead of the tedious tasks of taking and recording multiple, individual temperature readings, you get the complete picture with a blended visual and thermal image of your target area. Hyper-thin pyroelectric technology leads to breakthrough affordability. In the past, blending has been the exclusive territory of tools priced five to ten times higher, but not anymore. 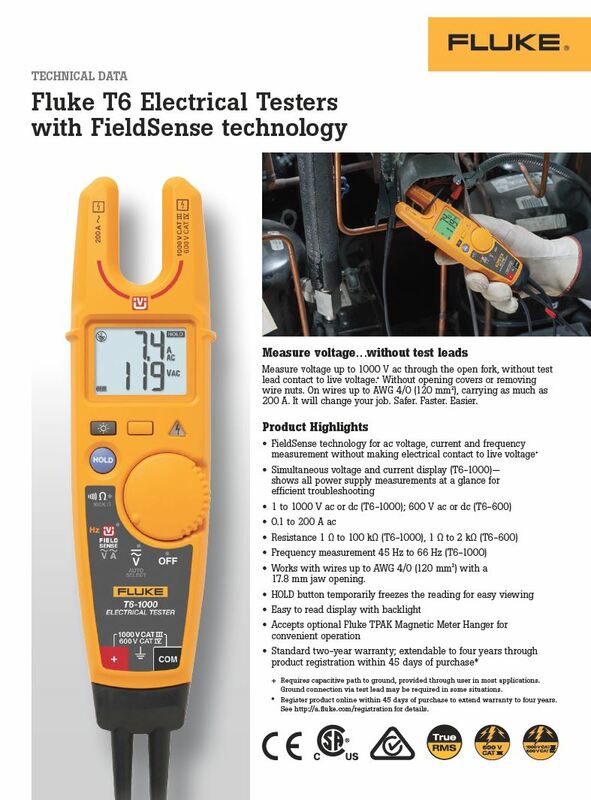 It’s standard with your new Fluke VT02 Visual IR Thermometer. And because the technology is so easy to use, it doesn’t require any advanced training. The Fluke Visual IR Thermometer strikes the perfect balance between performance and affordability. It wasn’t enough to create the features that make the VT02 in a class of its own, we set out to make it uniquely affordable. Hyper-thin pyroelectric innovation pushes the limit of IR technology pioneering an array dense enough to create an infrared blended heat map. The result is the missing link—the ultimate in-between tool for those times when a single temperature reading isn’t enough and a high-resolution thermal image is more than you need. Until now, it hasn’t been possible to combine the convenience of a digital camera with a thermal heat map at breakthrough affordability. Unlike other technologies, the blended image eliminates guesswork and tells you the exact location of the issue. Measure With Confidence Traditional infrared thermometers only show an average temperature of an area that doesn’t accurately identify what you are measuring. The VT02 gives you the visual image of exactly what you are measuring. Detect Issues Instantaneously Eliminate the task of taking multiple grid readings and manual temperature measurements. In one blended image, you get the complete picture and can compare readings from different dates. Pinpoint With Hot and Cold Markers A picture speaks a thousand words. The blended image of the VT02 captures a center point temperature measurement and hot and cold markers all at once with a click of a button. Pinpoint the exact location of potential problems faster and easier. Document Problems with Smartview® Software Producing a professional report with Smartview® is just as powerful as the VT02. You will be able to communicate issues or document that repairs have been fixed. Troubleshoot Efficiently Compact and intuitive, the point and shoot focus-free design of the VT02 starts finding problems right out of the box with little to no training required. Document problems with SmartView® software—a brilliant way to sell yourself. Producing a professional report with Smartview® software is just as powerful as the VT02 tool itself. You will be able to communicate the issues that you’ve detected or document repairs that have been fixed. Visit fluke.com/toolofthetrade to learn more. residential dwellings where accumulation of combustion gas is possible.